Surrounded by the dreamlike peaks of the Dolomites, our Climate House is the perfect choice for a relaxing stay in the heart of the mountains. 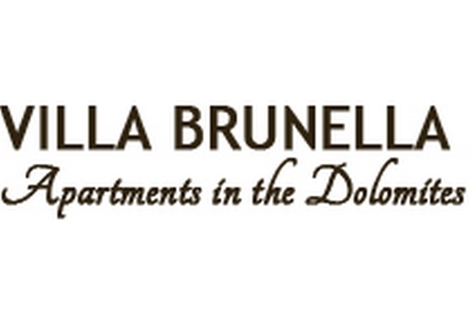 Welcome to the Apartments of Villa Brunella in La Villa – Alta Badia! Villa Brunella is located in la Villa, surrounded by the majestic and impressive peaks of the Dolomites in Alta Badia. Our guests are offered comfortable apartments for unforgettable holidays in a magnificent natural landscape. Our guests look forward to a climate house, which was restructured following the guidelines of environmental protection and energy saving, situated in the village centre and offering a breath-taking view over the Dolomites. Spending your holidays in an apartment make it possible to enjoy a break from everyday life, without, however, renouncing daily routines and habits, completely free. The apartments have various sizes and dispose of various bedrooms, satellite TV, WLAN, bathroom/shower, toilet, bidet, safe, kitchen unit with dishwasher as well as spacious balconies with mountain view to Heiligkreuzkofel, La Varella and Conturines on one side, and Gardenaccia and Sassongher on the other side. One of the apartments also offers a whirlpool. The upper floors are accessible by elevator and we dispose of a ski shoe warmer, a bike deposit, a washing machine and a private car parking, too. In the immediate environs of our house, our guests also find a bus stop, a pharmacy, shops, restaurants as well as lifts and slopes, such as the famous Gran Risa, which hosts the Men’s Ski World Cup every year in December. Culture lovers look forward to a visit in Castle Colz and in the church of La Villa. In Summer, hikers, mountain bikers, paragliders, climbers and more are offered perfect conditions. Apartment PÖZ is provided with 1 double / triple bedroom, 1 double bedroom, bathroom with shower and bidet, second bathroom on request, living room / kitchen with dishwasher and sofa bed for 1 person, TV/Sat, WiFi, safe, balcony with wonderful view of the Gardenaccia and Sassongher peaks. Apartment FANES is provided with 1 double / triple bedroom, bathroom with shower and bidet, living room / kitchen with dishwasher and sofa bed for 2 persons, TV/Sat, WiFi, safe, balcony with wonderful view of the Sasso Santa Croce, La Varella and Conturines. 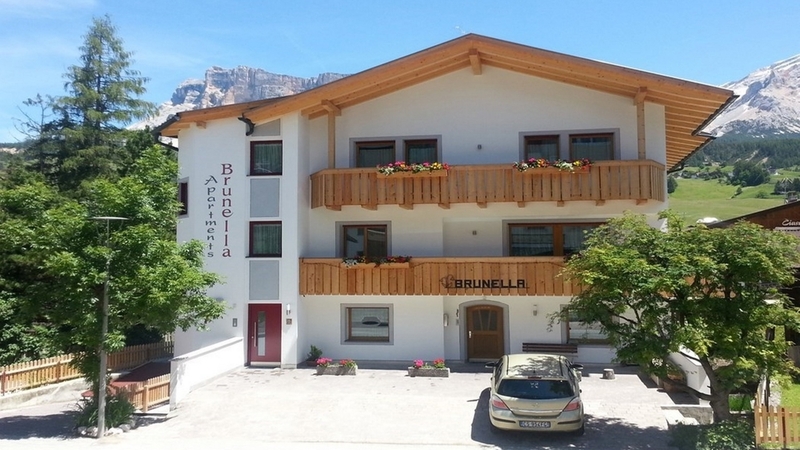 Apartment LA CRUSC has 1 double room with TV / Sat, living room with sofa bed for 2 persons, kitchenette with dishwasher, shower, WC, bidet, WiFi, safe, balcony with view to the peaks of Kreuzkofel, La Varella and Conturines. Apartment PÜTIA is provided with 1 double bedroom with bathroom shower WC and bidet, 1 double room with double bed or on request 2 separate beds, kitchen with dishwasher, living room with 5.-6. bed, second bathroom with toilet and bidet, separate shower, TV / Sat, WiFi, safe, balcony overlooking the peaks of Gardenaccia and Sassongher. A calmer period, which is ideal for discovering nature in this beautiful valley full of surprises and its world-famous mountains. Alta Badia - Dolomites for everyone! Expand your horizons, make the most of your passion, find a new adrenaline rush, all in Alta Badia in the heart of the Dolomites – a UNESCO World Heritage Site.